Lately I've been living in straw fedoras--they keep the sun out of my photosensitive eyes, but mostly because, in this heat, I simply can't be bothered to do anything that remotely resembles an actual hairstyle. To remedy this, I've been searching for cute hair accessories that can replace the hat and make me look like I've at least made an effort. With these hair combs I can still throw my hair back into a bun, but I'll look a little more polished. 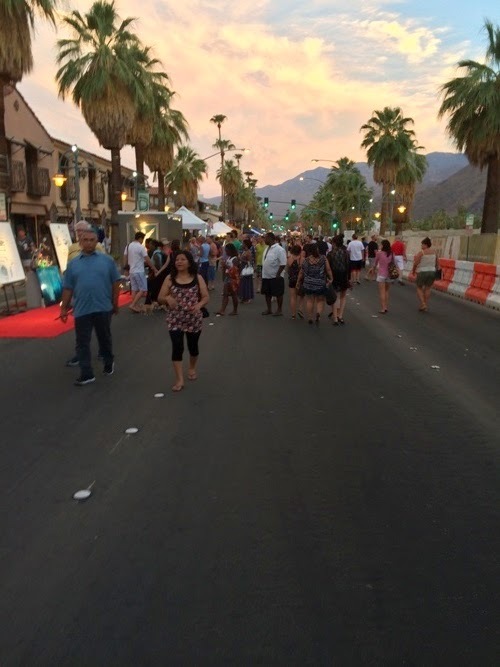 Going to a street fair is the perfect way to spend a summer afternoon or evening. Besides the opportunity to get some fresh air, and do it for free, here are seven reasons to head to your local street fair (or farmer's market) this summer. 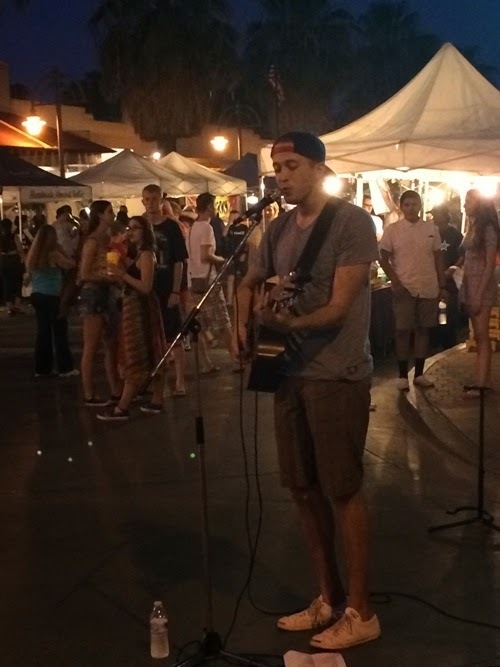 It's always fun to listen to live music, and at street fairs you may be able to catch a number of acts in one evening. Even if you don't buy, sniff testing fragrances like sandalwood, grapefruit, lavender, and inventive combinations like Orange Vanilla Lemon Cream. There is so much talent to be discovered at a street fair. 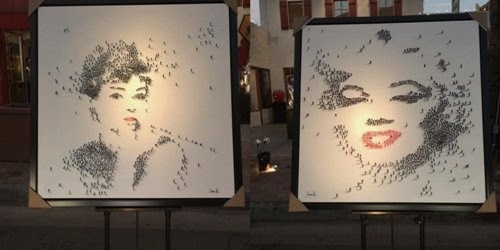 We couldn't get over how local artist Elena Bulatova painted tiny people to create these images of Audrey and Marilyn. There are always a ton of cute pups on leashes, and some even in strollers, and your local street fair may even have a petting zoo with small animals. 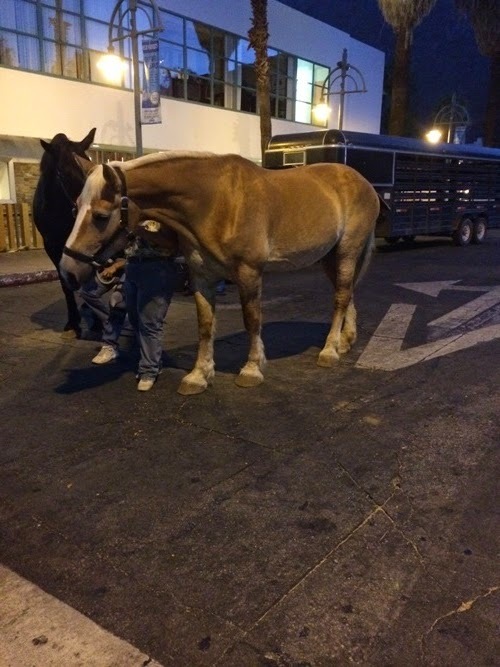 We spotted these rescued horses and couldn't resist feeding them carrots. Even on your best night, you probably won't whip up a homemade paella for your family, or throw a tri-tip on the grill and slice it up so thin it practically melts in your mouth. But at a street fair you can eat like you wouldn't eat at home. One of the best things about a street fair is scoring a one-of-a-kind pair of earrings or a handmade leather bracelet. 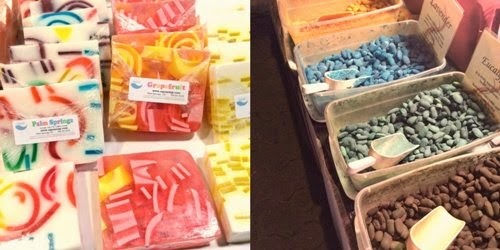 Plus, there are usually other talented vendors offering unique wares. 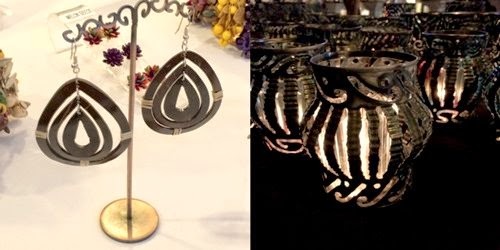 We spotted a woman using a hand torch to craft candle holders and lanterns out of tin cans. There are so many things to see and do and eat at a street fair, but if you're not looking to spend any money, people watching is always free. 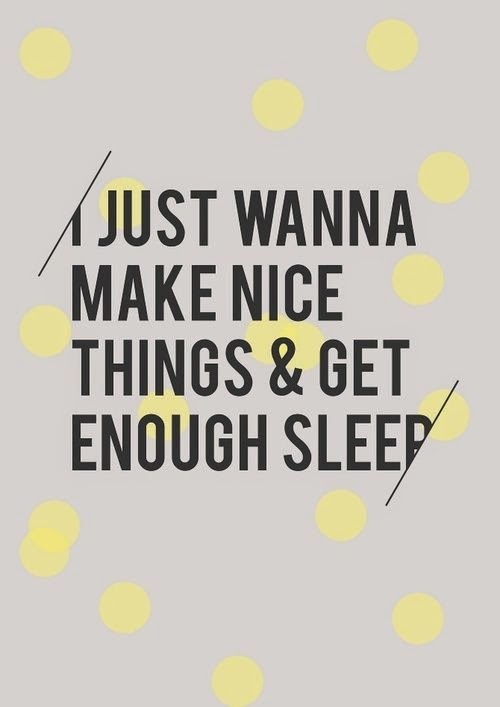 After a very productive week, I'm ready to get the weekend started. There are a couple of movies I'd like to see, and a few recipes I want to try out. Plus, I've got tons of little details to finish up for my baby's first birthday party next weekend. 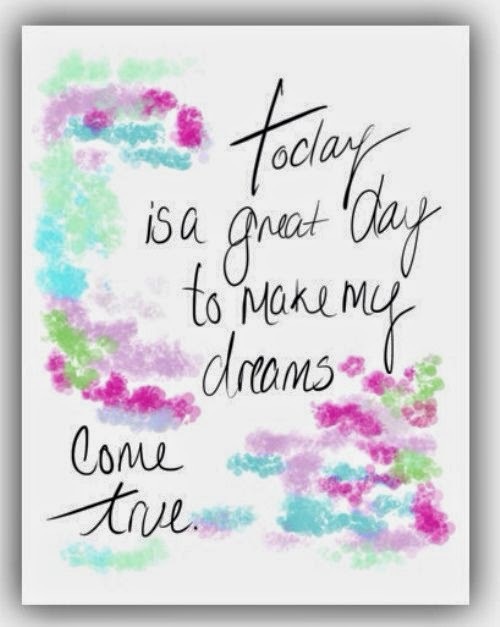 I hope you have an awesome weekend planned. Enjoy, and God bless! 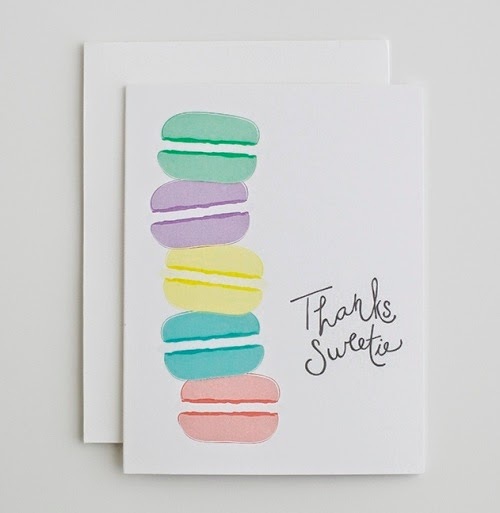 The cutest thank you cards ever. 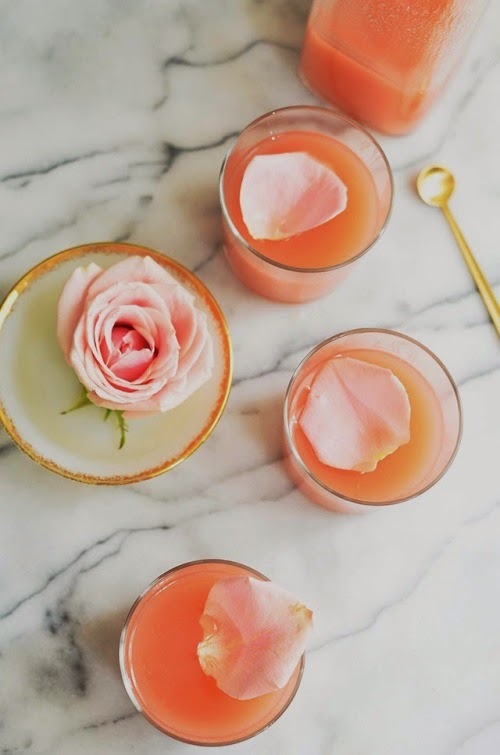 This gorgeous white peach and rose lemonade. Cute heels from Kate Spade Saturday. 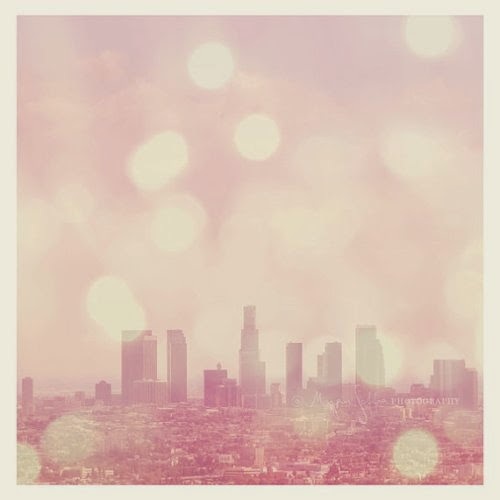 The L.A. skyline in the dreamiest shade of pink. 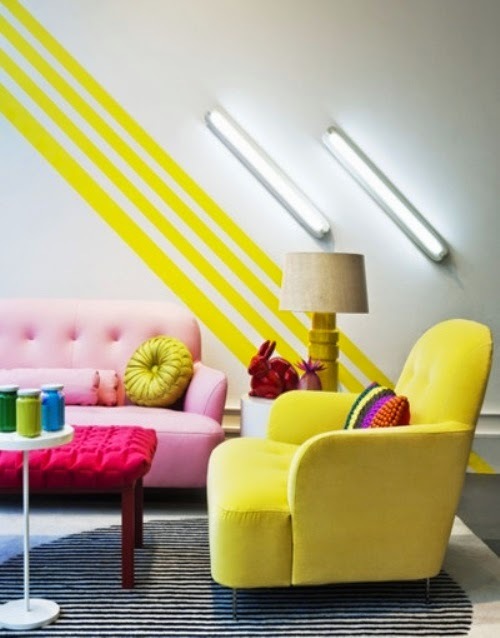 I love the idea of using sequins to inject a room with an unexpected dose of glamour. 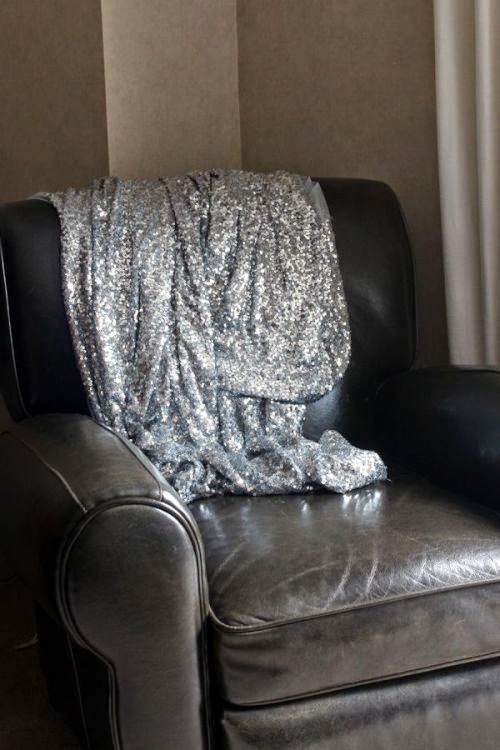 Sequined pillows are readily available and a great way to zhoozh up an otherwise sparkle-less space, but lately I'm also seeing curtains, tablecloths, and even walls that are decked out in dazzling paillettes. 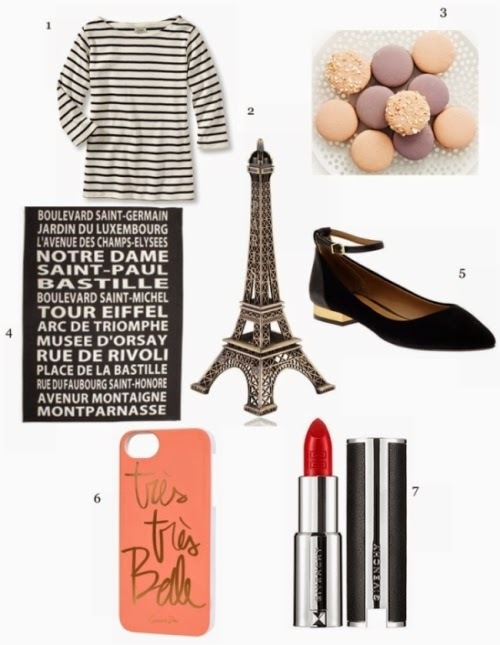 The look is anything but subtle, in the most alluring and almost magical way. A sequined wall that looks like diamonds. Gold sequins lend a disco vibe to a dark living space. 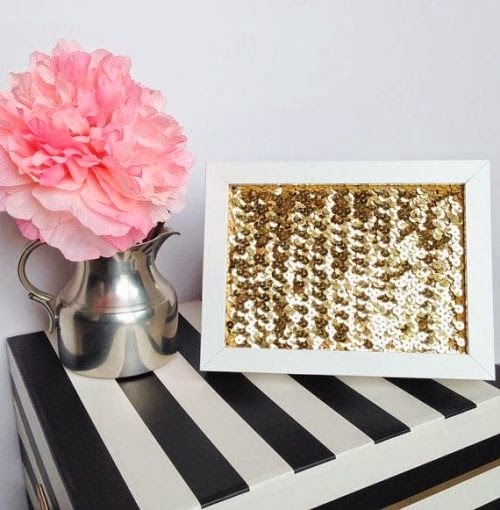 An impossibly simple DIY sequin throw. Giant paillettes make a girly table setting even more charming. Tossed on a chair to make a home office feel more special. Simply framed to create a custom art piece. 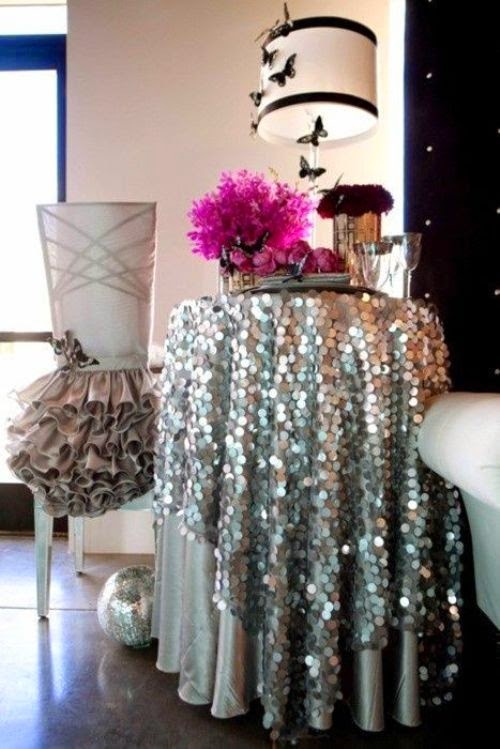 Pale sequins add a touch of sparkle to a neutral space. 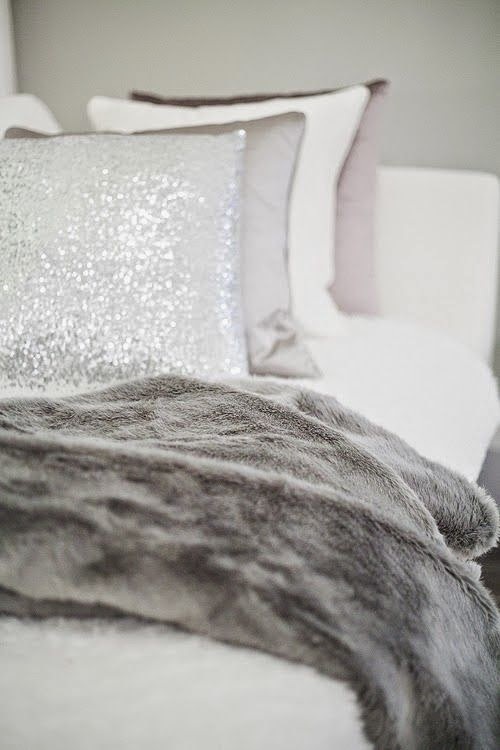 Sequined bedding makes a room feel more luxe. 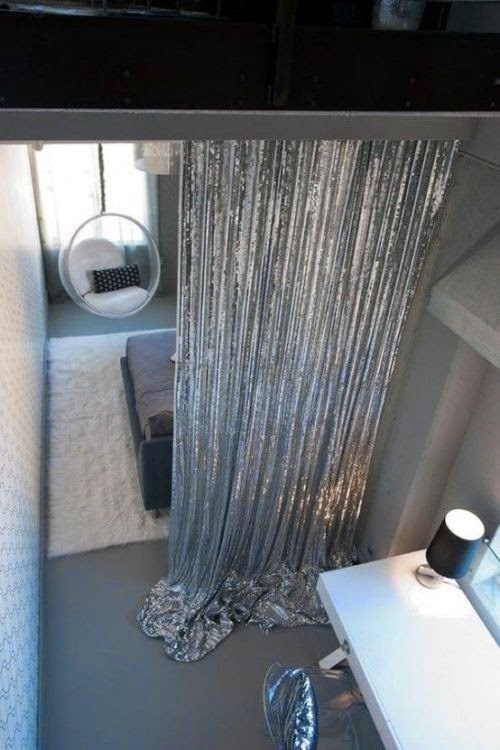 Dramatically draped sequins act as a curtain and room divider. 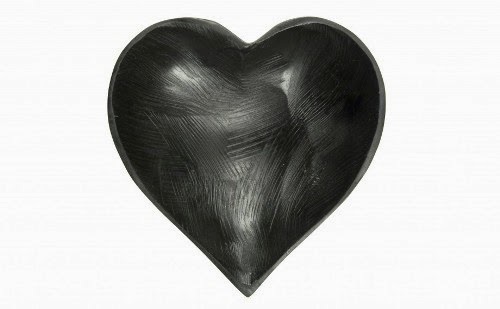 Black hearts as an adjective or Marvel comic villain are never a good thing, but black hearts as a thing, as in this diminutive heart bowl, are great. Its slight imperfections give it an organic, earthy feel (it's made from natural soapstone) and the rich, inky color is all at once chic and understated. A black heart might seem an awkward place to house a wedding ring, something that is the ultimate symbol of love, but this little bowl is so unique and fabulous I think it's exactly the right place to store my wedding ring when I take it off at night. It's amazing how much power our words hold, both written and spoken. 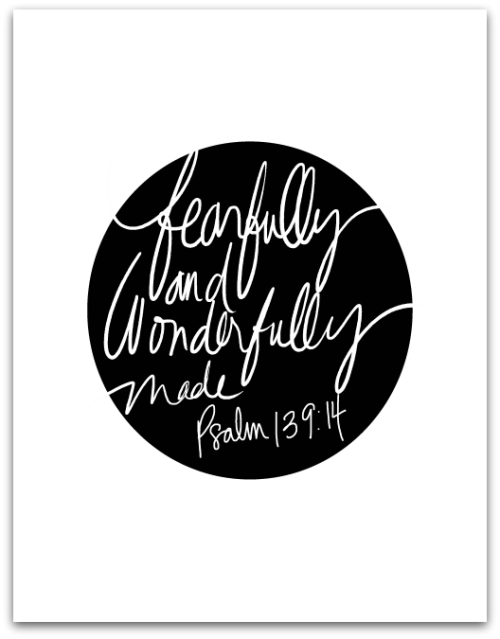 I love these prints because their positive affirmations can help turn a crummy day around. 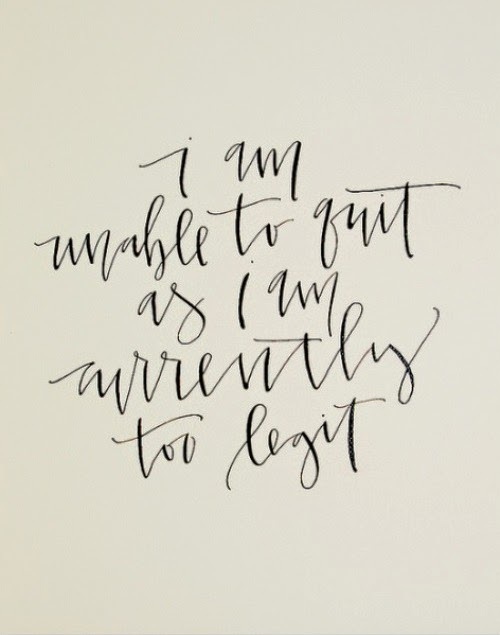 Keep one framed at your desk or on your nightstand, hanging near your closet, or anywhere else you're guaranteed to see it every morning. One of the greatest bits of advice I received before getting married was to have date nights with my husband. "When the children grow up and leave the nest," I was told. "You're left with your husband, and you don't want him to be a complete stranger. Have date nights so you can continue to get to know him." 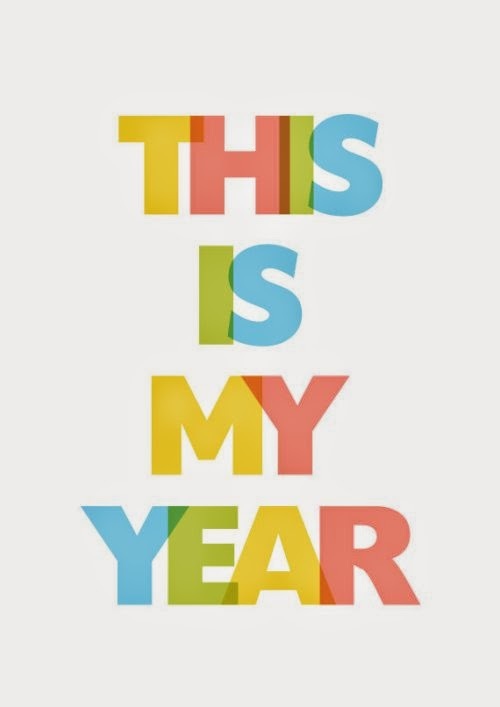 With the move back to SoCal, planning my little one's first birthday, and preparing my big girl for kindergarten over the past few weeks, my husband and I have had a lot of opportunities to really work together as a team, but no time for dating. This weekend, though, we're leaving the girls with my mom so we can enjoy some dinner, drinks, and live music together. I hope your weekend plans are just as much fun! God bless! 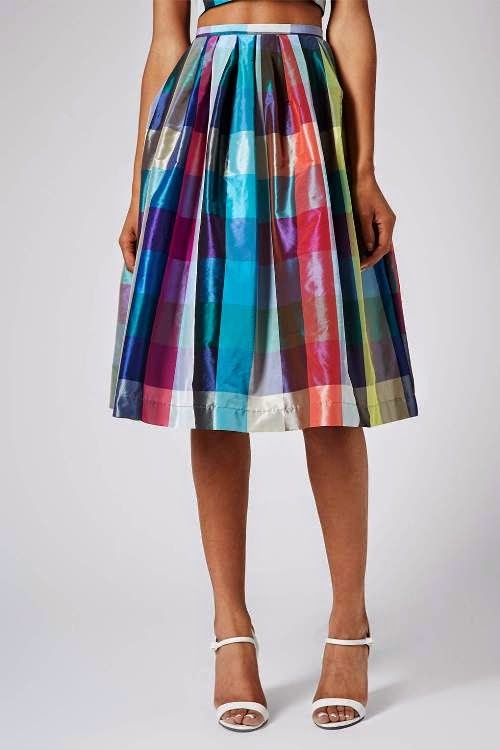 A brilliant suggestion from Marc Jacobs. Discovering new recipes on Yummly. 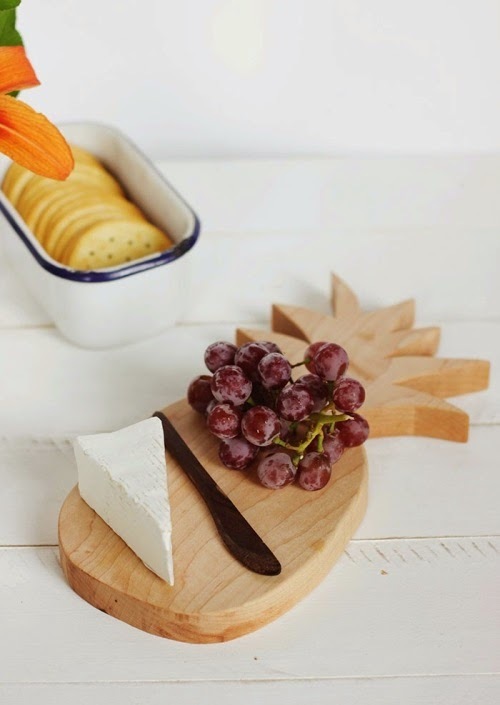 A DIY pineapple cutting/cheese board. Tips for avoiding getting sucked into the comparison game. 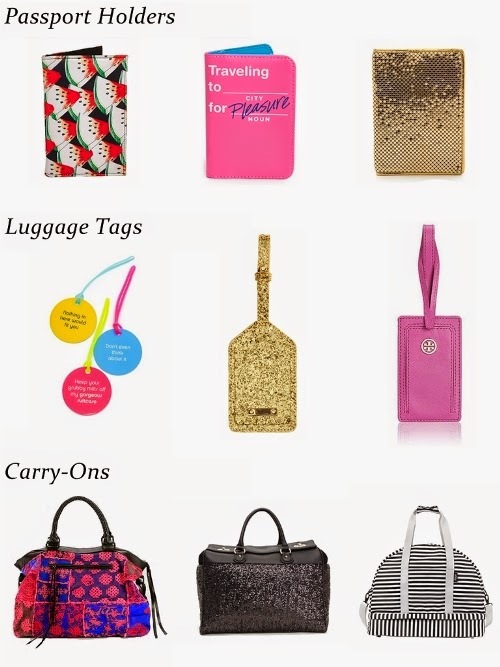 So your flight was delayed, your seatmate smells like onion, the seat in front of you is literally resting on your knees, and you just learned there are torrential rains waiting for you at your destination--with all the things that can go wrong when you travel, at least your travel accessories should be cute! 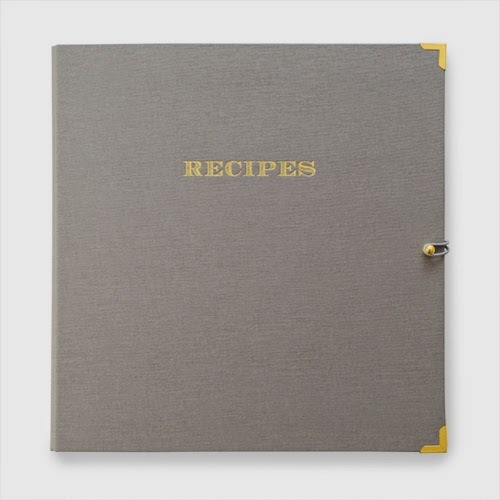 In an effort to remain on top of my organization (see this must-have from a couple of weeks ago), I'm thinking it's time to get all my recipes--handwritten, printed, and clipped from countless food magazines--in order. This binder is exactly what I need to do just that. Inside, it's categorized by breakfast, lunch, appetizers, salad, entrees, pastas, and desserts, and has 35 clear sheets to neatly house all my magazine clippings. 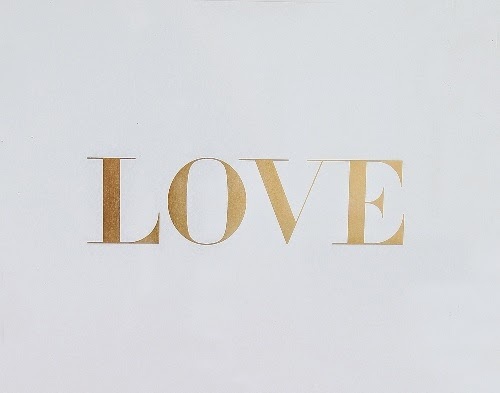 Plus, it's lined with Sugar Paper's signature gold polka dots--how cute is that? Family is extremely important to me, and I feel incredibly blessed to have a close-knit group of aunts, uncles, cousins (second, third, and fourth), and even friends that I call family. This weekend we're having a big family gathering where several people will be meeting my baby for the first time. I can't wait to catch up with cousins I haven't seen in awhile and watch my little girls play with a few distant but loved relatives. I hope you have a safe and fun weekend. God bless! 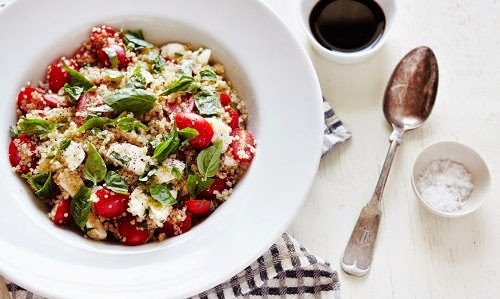 A tasty-looking quinoa caprese salad that could be the perfect summer dish. 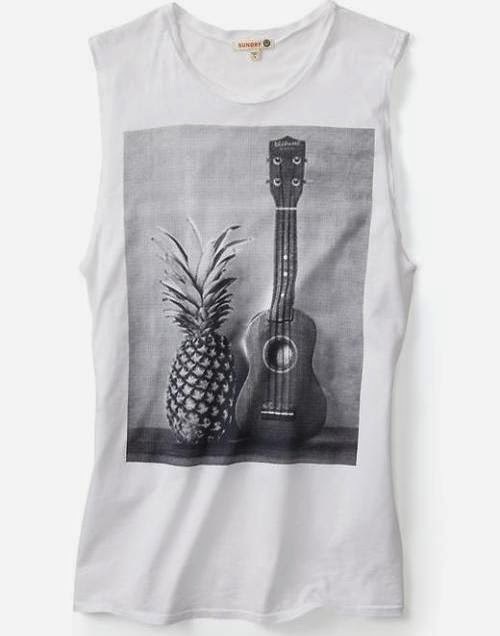 A cute T-shirt I've got my eye on. Ice cream that looks too pretty to eat. 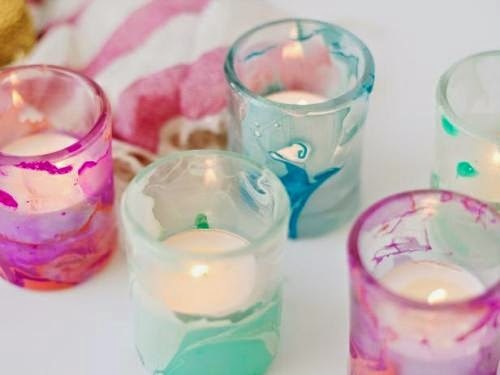 A cool way to make marbled votives using nail polish. Whether it's across town or across the country, a move is always an adventure, and if you've got little ones, it can also be an exercise in patience. Bless their hearts--they want to help, they want to be held, they want to play, they want food, or a host of other wants and needs. Having moved from California to Phoenix, and back again in the past year, I've learned a few tricks that help make moving a bit easier for the little ones. Have them color or paint pictures to hang in the new house. It's something they love to do anyway, and it'll keep them out of your hair for a few precious minutes while you pack. Plus, the pictures will always be a reminder of the adventure. Surprisingly, your little ones can be a big help, and they enjoy doing it, so let them pitch in with the packing efforts. 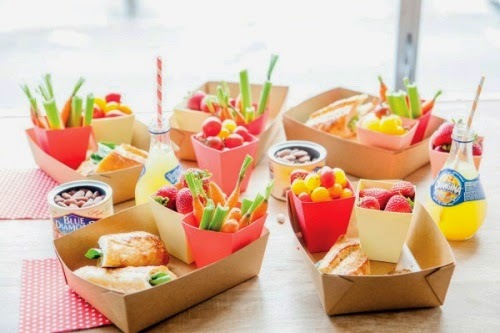 They can pack up the toys in their room, or if they have their own sets of plates, bowls, and cups they can pack up their dishes, along with any Tupperware or plastics you may have. Set up a movie station. 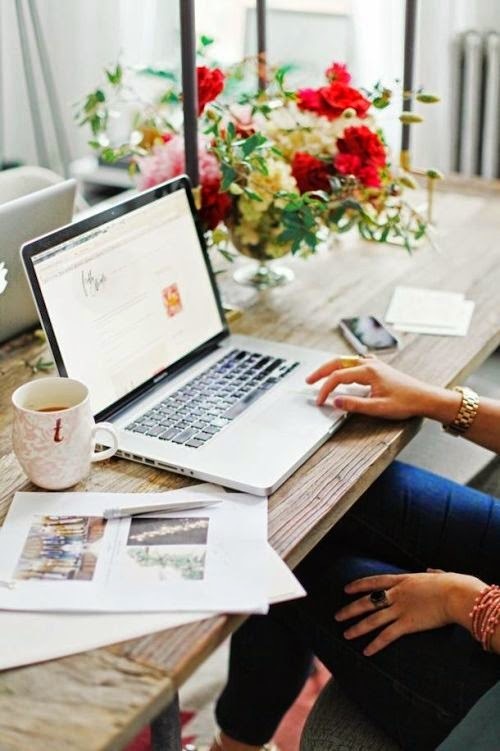 A portable DVD player or laptop will become your best friend during a move. Place pillows in a corner to make it extra cozy, and keep three or four of their favorite movies on hand. This could also be a reading station. This is as important to you as it is to them. You need (and deserve) a break and they're dying for some attention, so put down the boxes and play a quick game of hide-and-seek, sing Wheels on the Bus, or color with them for awhile. 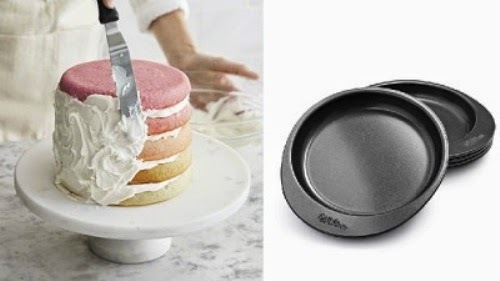 My mom is turning 60 tomorrow and I promised I'd bake her a cake, so today I'm headed out to buy this cake pan set. I'm thinking of making a naked cake--the sides don't get frosted, resulting in a beautiful cake with alternating layers of visible cake and icing. Or maybe I'll do an ombre cake in shades of purple, her favorite color. Either way, I'm going to have a lot of fun trying these out. I've never made a summer bucket list, but now that I'm married with little ones I'm eager to make every moment as memorable as possible. In an effort to maximize my family's merriment this season I came up with a few fun activities I'd like to experience with them. What's on your summer bucket list? I'd love to hear your ideas! After living in Phoenix for a year I want to take full advantage of California's beautiful beaches. 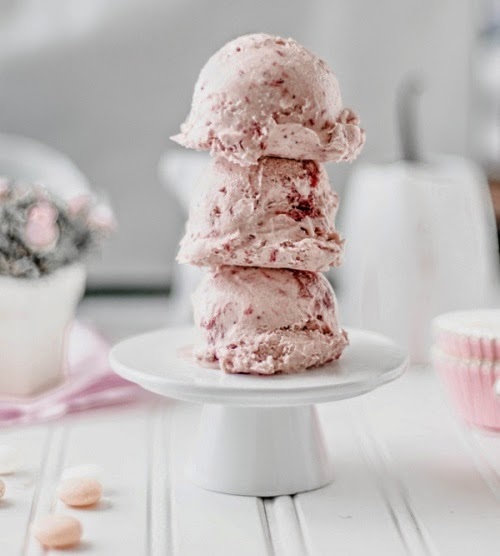 I've got a ton of ice cream recipes and homemade toppings that I want to try out. 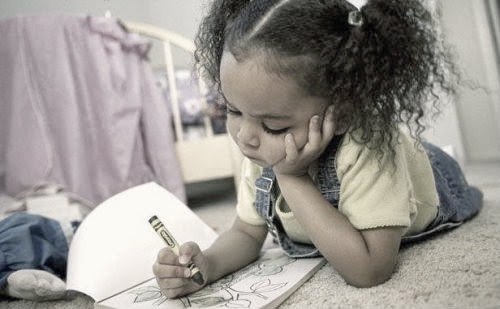 Luckily, I promised my little girl that she could help and she's holding me to it. Consider this one checked off my list. I love staying at hotels, but I've never stayed at a bed and breakfast. People use words like "sweet," "cute," and "cozy" to describe them, so I'm all about making this happen. Try out five new recipes. With all of summer's gorgeous produce, it'll be easy to pull this one off. 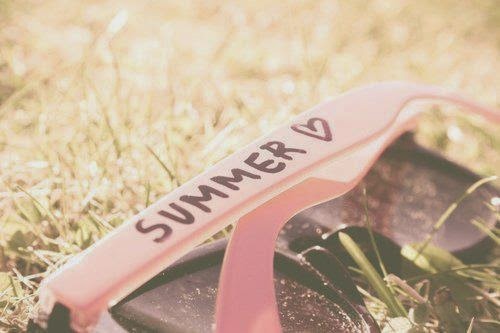 This should be a must for every summer. Actually, two proper picnics: one with my whole family, and a romantic cheese and wine spread for just my hubby and me. Take a roadtrip up the coast. I'd love to take a trip from L.A. all the way up to San Francisco, but with two little ones, I'll settle for Santa Barbara. It's been years since I had a weekend of wine tasting in California's Central Coast with girlfriends. 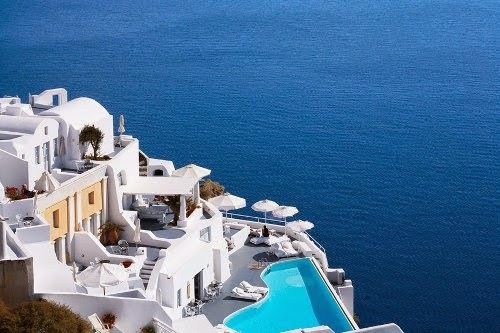 I'd love to go back with my husband. This is one of my favorite desserts and I have to make them every summer. We survived our move from Arizona back to Cali, and just in time for a big 4th of July party with family. I can't wait to see how my little girls react to the fireworks--my four-year old always gets so excited she's ready to burst, and it will be the first time my tiny girl has seen them. 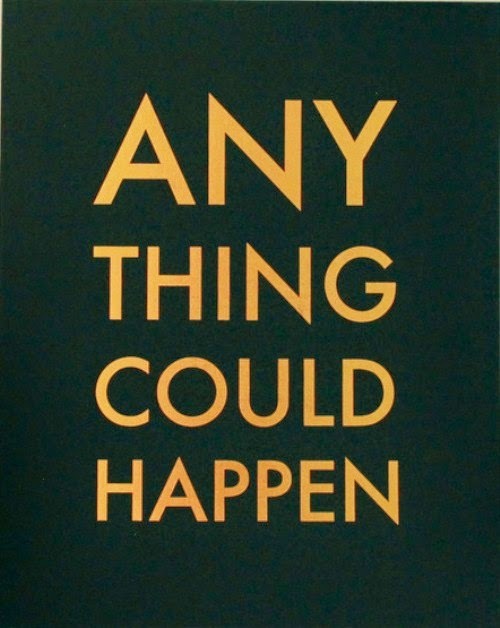 I hope you have an awesome weekend. Happy 4th of July! God bless! 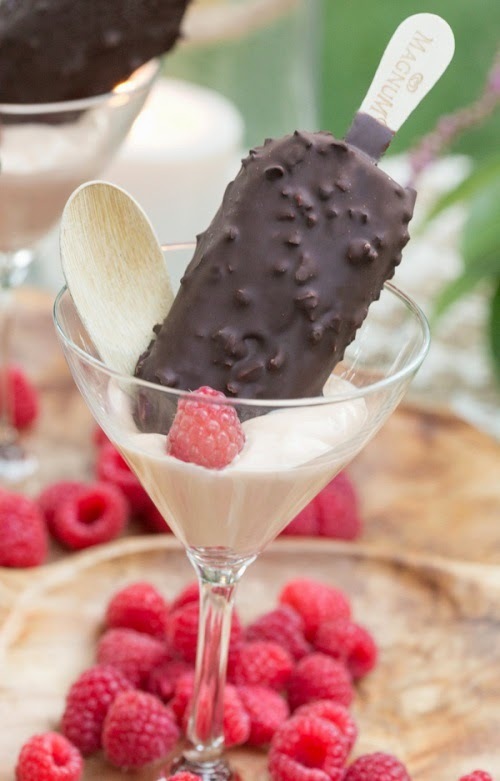 Clever new ways to serve ice cream bars. 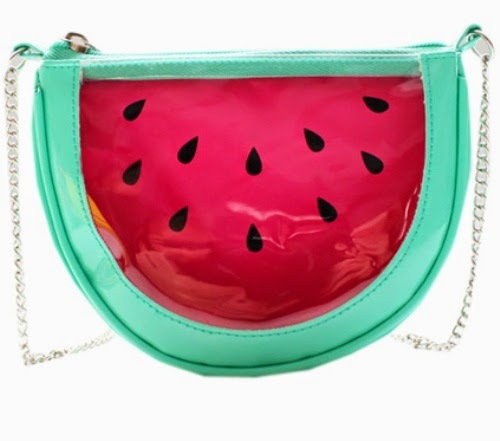 ...and a picnic perfect bag. 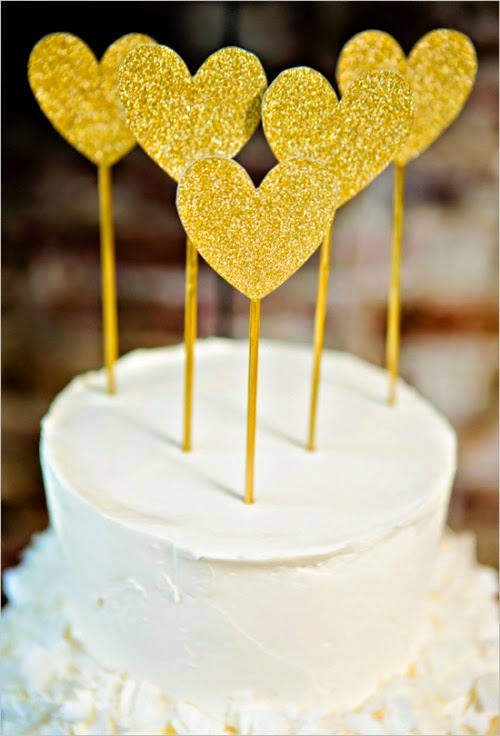 Cake toppers that make me smile.